Nara Rohith is attempting a never before feat in Telugu film industry by playing a dumb hero. No mainstream hero had appeared as full length mute guy throughout a film before. Rohith has been game for experimental films since his debut with 'Baanam'. It will be another novel film from the talented hero. Rohith has got a distinguished voice and dialogue delivery that earned him stardom. Portraying a dumb role will be a challenge one. 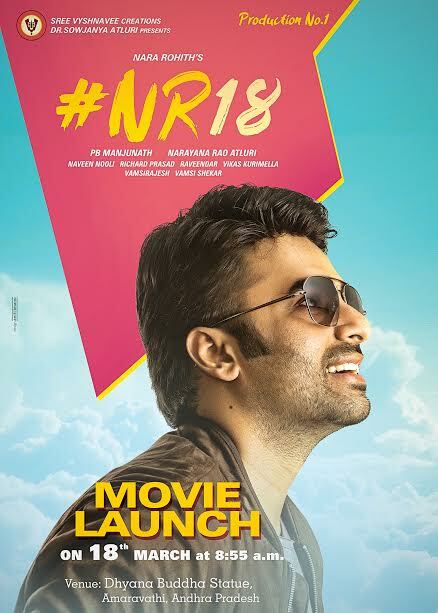 The film being Nara Rohith's 18th will be launched in Amaravathi on Ugadi.Coincidentally, Nandamuri Balakrishna's 'Gautamiputra Satakarni' was also launched at Dhyana Buddha Statue in,Amaravathi for Ugadi, 2016. The untitled new film is being directed by PB Manjunath of 'Ladies & Gentleman' fame and produced by Narayana Rao Atluri under Sree Vyshnavee Creations banner.